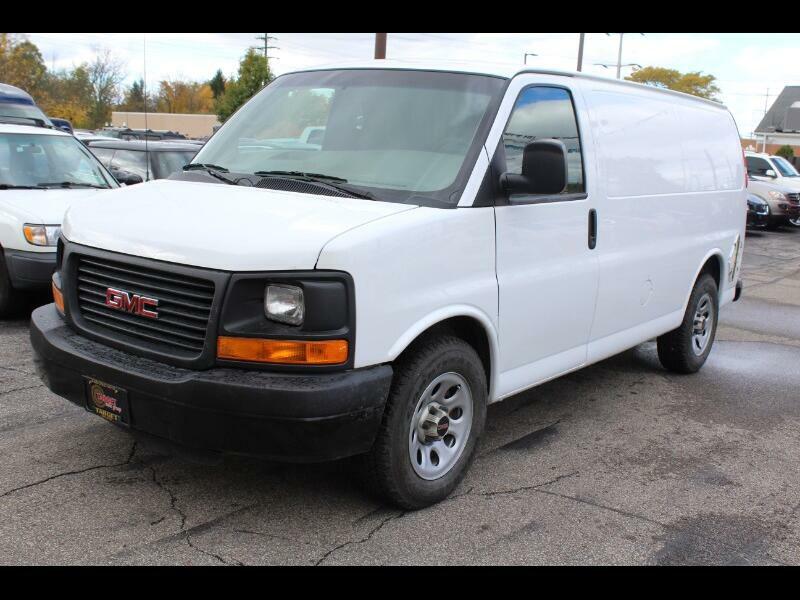 GMC/Savana1500-AWD Cargo Van; "Mileage discrepancy", "True Mileage is Unkown". It is the Perfect Work Van that is custom made to your line of business. Solid/Heavy Duty Cargo Van on GMC HD Frame. One Owner, well maintained, 5.3L Vortec Engine, AWD, Flex Fuel-E85, Backup-Camera, Cargo Mesh Cage Separator, H/D Vinyl Flooring, Right Sliding Door. Keyless entry. Tow/Haul Mode option, ABS, Traction control, TPMS, Auto Head lights, Cruise control, In-Dash AM/FM/CD w/ Audio AUX. Van is well maintained w/ fresh Oil& Fluid Change, Cooling System Flush/refill, Transmission Flush/Refill Service, Serpentine Belt, New Front& Rear Brake Pads, Newer Dura-last PRO Battery, PCM Module, Decent Good Year/Wranglers Tires, Wheel Alignment& Computerized Spin Balance Van been road tested for over 500 miles and ran strong w/ no problem. Call Moe at 440-232-1615 to schedule your test drive for this solid "like a rock" Van.